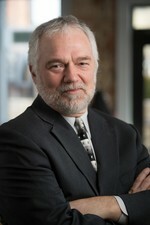 Trial attorney, 32 years, own M.P.Smith & Associates in Fort Wayne, specializing in criminal defense and personal injury. Christopher Matthews just published my memoir, "The Hitchhike," about an Air Force officer in 1972 who hitchhikes around the world and comes back a conscientious objector. I'm writing my first fiction, "Holly and Leonard," about two people who fall in love in their seventies and have to fight their heirs and flee from the law in order to stay together. Jody is the world's greatest living painter. She also runs Castle Gallery, which features paintings from around the nation and the world. Life is a spiritual obstacle course, designed to see if you can get over your self. Mark Smith has left an In Memory comment for Mike Hartley. I remember vividly Mike Hartley's funeral. The grieving family was stunned by his unpredictable, handgun suicide. HIs mother made a terribly emotional scene when she threw herself over the casket as they were trying to roll it back into the wall of the D.O. McComb Funeral Home on Lake Avenue. As officers from Mike's Junior class at South Side High School, we were shocked by the horrible anguish of a mother's refusal to let go of her son.The sounds of her sobbing must still fill that room. We were amazed that death had claimed one of our own, someone we had been friends with since Harrison Hill Elementary School. Mike had seemed happy in his home on Indiana Avenue. Suddenly, he was gone. We couldn't imagine why he had taken his own life. Sure, school was a social and academic obstacle course. We were all having trouble fitting in. But life was fun and the summer of love was about to change everything. His death left each of us a little less invincible. And then there was another suicide funeral to attend.